Recently, I participated in the chat room and listened to the last episode of an online radio program/podcast of “the world’s largest motorcycle podcast,” SideStand Up, hosted by Tom Lowdermilk. It was a sad moment, but also one of accolades and congratulations, for Tom and his crew were ending on a high note. Sad because it has come to an end, and all the friends made will no longer have a place to meet, listen and learn. Joyous, because it has been a great ride. 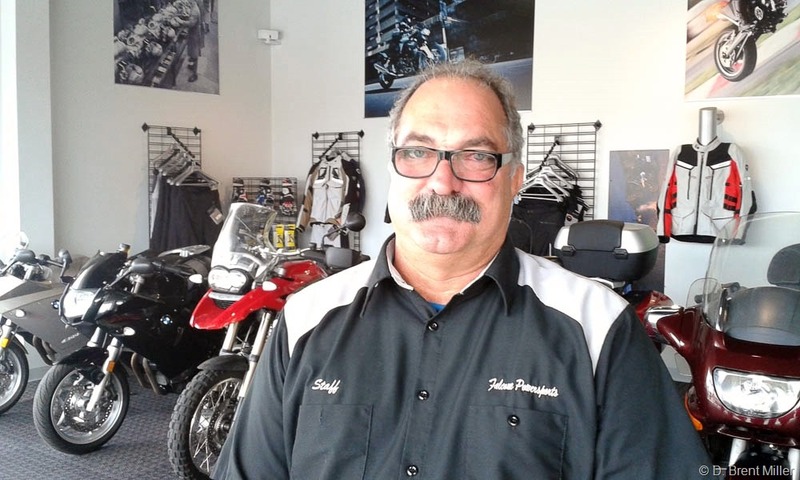 Tom has provided a valuable service to the motorcycling community by addressing current issues as well as interviewing travelers. Keeping up on industry trends, association activities, and the exploits of motorcycle travelers around the world. Last night, it became very apparent that SideStand Up is a global program, as people called in from Australia and South Africa. Yes, global. Is there anything out there now or on the horizon that will fill the gap? I can’t think of any. There are a few motorcycle podcasts out there, but nothing that compares to Side Stand Up. The regular hour and a half program lasted more than three hours—three hours of conversations, most memorable moments, hilarious stories, and of course best wishes for the host and founder, Tom Lowdermilk. Clearly, it was an emotional evening for Tom. I got my chance to add my kudos when at the end of the program, Tom asked listeners to dial in and talk. So, I did. The next day, I had travel plans to drive to Illinois, and I managed to arrange a quick stop in Indianapolis to give Tom a big hug and wish him well. Reminiscing about the previous evening, he was still trying to hold it all together. Thank you, Tom. You did good. And, we are all the better for it. You can download the final episode from iTunes here: Side Stand Up, Episode 930. I’ll miss SideStandUp. Tom did a great job of providing information about relevant topics, plus I could get my (usually) monthly dose of Carla King. Chaz and Imre had an interesting segment on motorcyclist rights issues. The guys from VMOL reminded me of vintage bikes I knew, or in some cases didn’t know. I hope someone (Brent, hint, hint) could take over and keep SideStandUp going. I was a regular listener of side standup. I don’t know Tom and the gang personally but I feel like I do after listening for so many years. I would like to say thank you to Tom and his crew for all the years if dedicated service to the motorcycle community. Anyone trying to copy this formula of unique hosts and guests will have big shoes to fill. I’m really not sure if that would ever be possible. Thanks again Tom don’t be a stranger. it was toms broadcasts that encouraged me to run the adventure show on bikerfm. take care tom and maybe you will come on the show here in the uk.